Did you think Wednesday Workshop was limited to Wednesdays? No way! I just returned home from a week in White Plains/ Westchester County, NY, and Summit, NJ -- lots and lots and lots of travel, and lots of work!!! I tried to include a day or two extra on this trip to venture into NYC, WHERE I HAVE NEVER EVER BEEN, but it wasn't meant to be. Do you know how it is when sometimes you feel like you are pushing so hard for something to happen, but nothing falls into place no matter what? That's how it was, so I figure NYC is meant for another trip. Garment District, I've still got my eye on you! Did you follow the recent story about W Magazine's search for a new editorial director? While I was out of town, it seems they found one. Meanwhile, this past Sunday, Kyle visited Austin and commented on my bag, which I'd made and called my "W Bag version 1," as I designed it especially to accommodate the oversized dimensions of W Magazine without damaging the corners. Reminded me that I'd intended to share this pattern in case anyone else was looking for a brand new bag. It has been my go-to bag all fall and winter long! I will try it soon in a spring-appropriate fabric because the dimensions of the bag, for me, are just right. Big enough for lots of stuff, like a big W magazine and a light sweater and wallet and keys, but not Mary-Kate-and-Ashley-Olson-bag big. Maybe it will work for you, too? Click through for the pattern link and directions. My prototype is made from a pair of reconstructed black denim -- feel free to gather any variety of refashion-worthy materials or start from scratch. 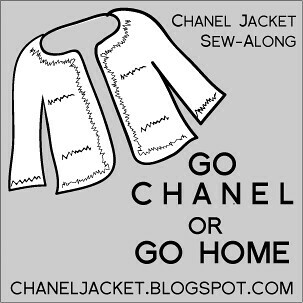 My version is unlined but you could absolutely line yours if you cut two extra body pieces out of lining fabric. I am usually a stickler for finished seams so I bound all mine. More info below. 1. Print the pattern and put it together. 2. Sew the darts in both body pieces. 3. 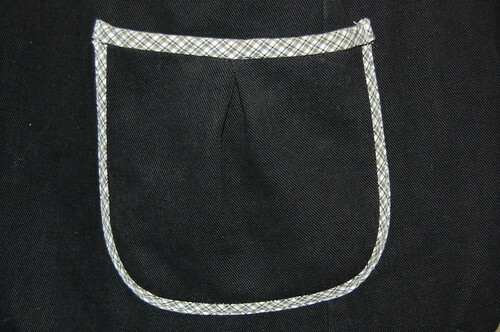 Baste the pocket pleat and finish the pocket edges. The easiest solution for my heavy denim was binding with bias tape. Sew the pocket onto the bag body. 4. Place the two body pieces right sides together, and sew in one continuous stitch down one side, along the bottom, and up the other side. Finish this seam with binding or serging -- you choose. 5. Place the two band pieces right sides together, and sew only the short ends of the rectangles together. Press both seams flat. Fold in half, wrong sides together, along fold line. Baste the raw edges together. 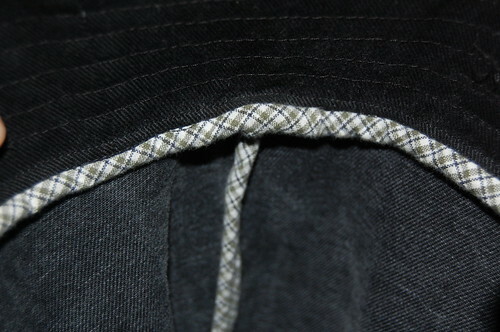 I also topstitched mine in long rows of stitching parallel to the folded edge, approx. 3/8" apart. 7. Now sew the straps. Once again, there are several different ways you can sew the straps, like sewing them into tubes with right sides together and then turning them out. 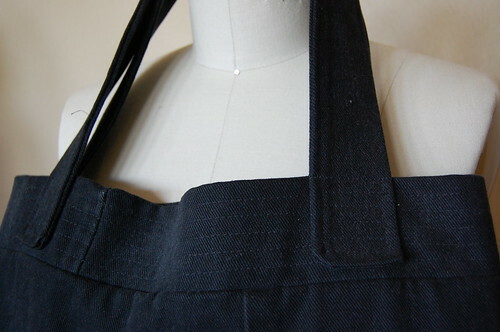 I used such a thick denim that I sewed each strap with right sides together and sewed along each short edge, pivoting at the corner and then sewing just a few inches on the long edge. I trimmed the corners and turned everything right side out, pressed the seam along the long edge, and stitched it closed. I also topstitched each strap in long rows about 3/8" apart. very cute bag! The pocket is a nice detail. Cute bag! Would great in a floral!! I feel so lucky that I got to see the bag in action! Love your blog redesign, by the way! This is going into my "One Day" file! Cute bag!! Thanks for the pattern! Thanks so much for sharing the pattern, this bag is so cute! I love the pocket. I'll be linking. beautifully done, of course, and I like the new blog look as well. This is an awesome bag pattern- you have great timing, I was just looking for a bigger sized bag to make with a piece of Anna Maria Horner's Drawing Room fabric that I just got. So, all bookmarked, now I just need an hour or two to stitch it up!! so love this! I'm definitely making one from a pair of jeans of mine that I can't stand!!! Thank you. Nice-looking! And the directions look simple enough to follow. I'll have to give this one a try at some point for sure. Just out of curiosity (since I haven't downloaded the pattern yet), what are the finished dimensions? Very cute. Black denim was a great choice. And I'm digging the new blog header! @Mary Nanna - I am SO GLAD you aren't having the hiccups with this new blog code... I have been messing around with Blogger in Draft and saw that they have made look and feel much more customizable. Side benefit: I think all the buggy code that was there before is gone. @Violet - I love the look of the big designer bags! But they are big, aren't they? @Laura - Thank you, and the floral is a great suggestion! @Kyle - I would have forgotten to post the pattern at all if you hadn't said anything. Thank you! @Sarah - It's a pretty quick sew. Hope you enjoy yours if you get to making it. @Rachel - I love One Pretty Thing, and it's so easy to search through the archives. Thanks for sharing. @Christy - Thank you, dear. I am so glad we can make little changes to our blogs now without having to revamp an entire template. @wendy - It looks like I might be back in your neck of the woods again sometime this year! Maybe we can meet in person. 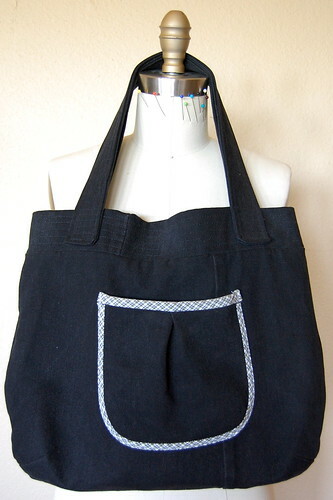 Hope to see how your bag sews up! @Steph - Thanks so much! @Anna - Funny how our old castoffs can enjoy a new, loved life! Good luck with it. @Becky - My finished measurements are 15.5"W x 14"H with approx. 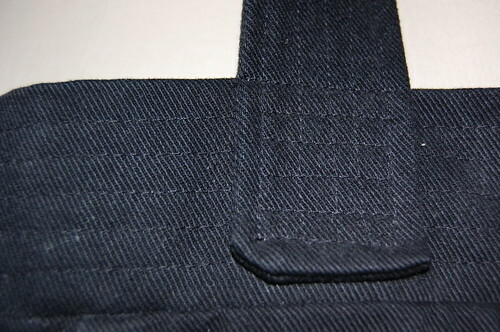 10" drop from where the strap hangs from the shoulder to the top of the bag. @dana - I had no choice -- black denim chose me. LOL Thanks! I made this bag over the Easter weekend and it went wonderfully! I love it and can't wait to start showing it off. Thank you so much for the pattern! I am always SO impressed by the things you make. So much of what is "repurposed" or "upcycled" today is just badly done. You always add those little finishing touches that really make it worth doing. I was just telling my daughter last night about how you've taken men's shirts and made them into the cutest little dresses. And they are not just cute; they are quality-constructed and finished. Thanks for sharing the bag pattern! I'll have to try it! that cracks me up that you designed it specifically for your huge magazine. love. i really like it! downloading. @Lindsey - I am glad the pattern worked for you! The size and dimensions are really perfect for my life and projects. Hope you are finding the same. @Jen - Thank you so much for your comment! If something I make isn't finished well, I probably won't wear it, which defeats the purpose of recycling a garment to begin with! Plus, I don't want someone to ask if I sewed something because it's shoddily constructed. Unique, yes. Perfectly fitting, yes. But poorly constructed, no.